DUG Insight User ManualFrequently Asked QuestionsFrequently Asked Questions SurveysHow do I change survey CRS to project CRS? 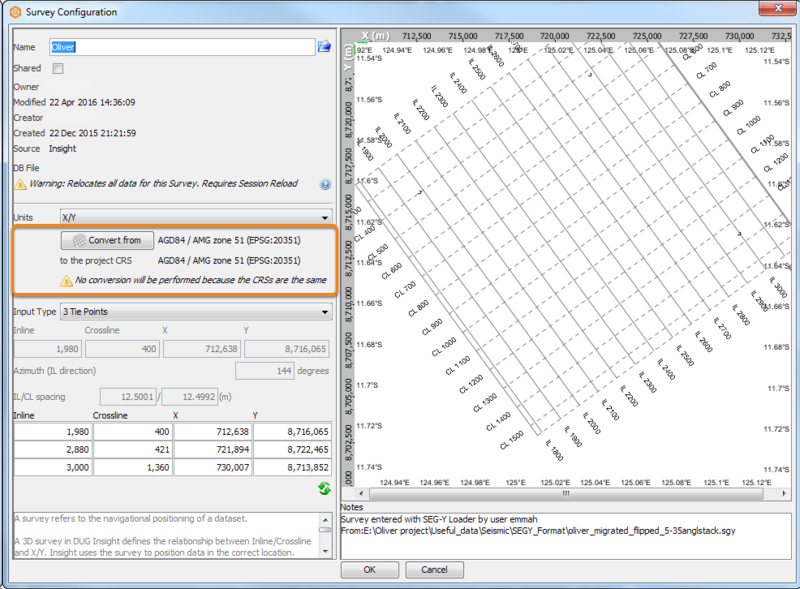 Using the Redefine Survey Data feature in Redefining a Survey, the CRS of a survey can be changed to the project CRS. From the Survey tab, right click on the desired survey and select Export. 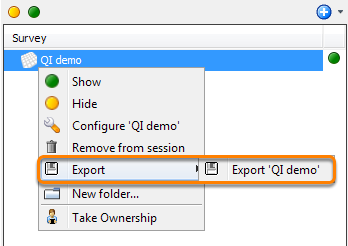 Export your survey file to a convenient location to create a copy of the survey. Double click on the survey in the Survey tab to configure the survey. In the Survey Configuration window, choose the correct CRS that the survey is currently using by clicking Convert from. Insight will perform the CRS conversion to the project CRS and reposition any volumes accordingly. When the survey has been updated successfully, the Survey Updated window will appear to ask you to reload the session. Click Save and Reload Session to save and reload the current session. The current session has to be reloaded to allow changes in the new survey to take effect. All other items that were based on the old survey will also be relocated to the new survey once the session is saved and reloaded. 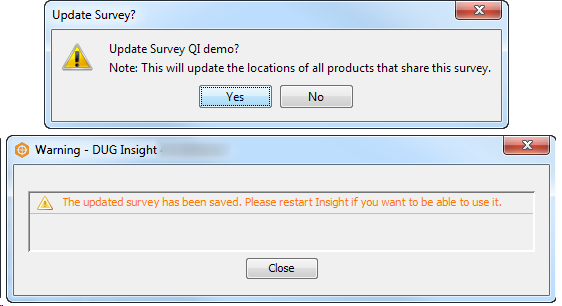 Prev: Why does SEG-Y Loader tell me I have a duplicate survey even though the coordinates are not the same?